Respected author and theologian Walter Brueggemann joins us today for a penetrating look at today’s most pressing issues, including terrorism, health care, and the recent economic collapse. He offers guidance for navigating through these challenging times through neighborliness, covenanting, and reconstruction. 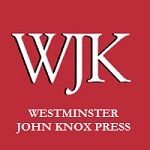 His new book, Journey to the Common Good, is now available from Westminster John Knox Press. Walter Brueggemann is William Marcellus McPheeters Professor of Old Testament Emeritus at Columbia Theological Seminary. He is the world’s leading interpreter of the Old Testament and is the author of numerous books, including Westminster John Knox Press best sellers such as Genesis and An Introduction to the Old Testament: The Canon and Christian Imagination. For more information, visit http://brueggemann.wjkbooks.com.